Sending and receiving emails is a part of corporate culture. Whether you’re a boss or junior staff, whenever you write an email, certain email etiquette is to be practiced. 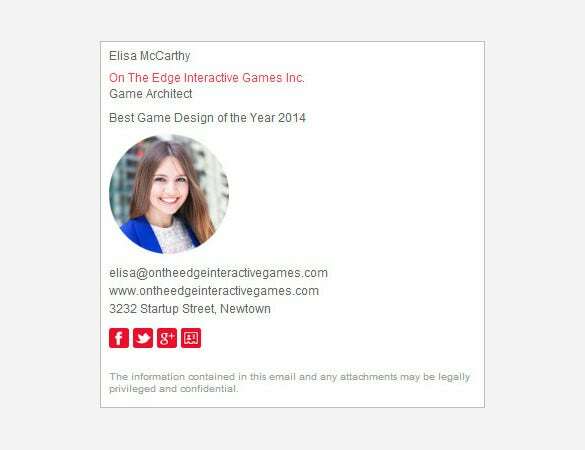 One of the cardinal rules of email etiquette is email signature. 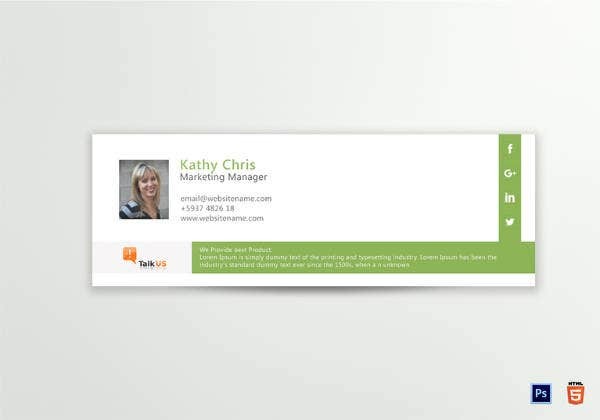 With the right kind of email signature, the likability of your mails getting notice and attention is high. 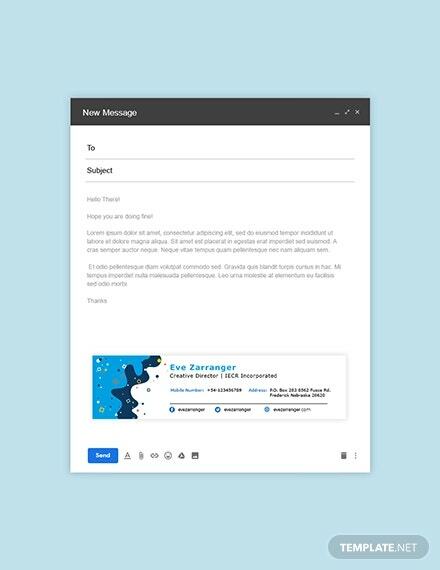 Take a look at some of the easily downloadable email signature templates we have picked. You can customize them easily. 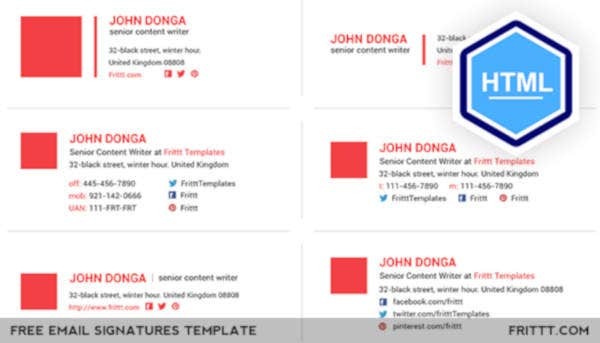 For these reasons you could check out our nice collection of professional email signature templates. 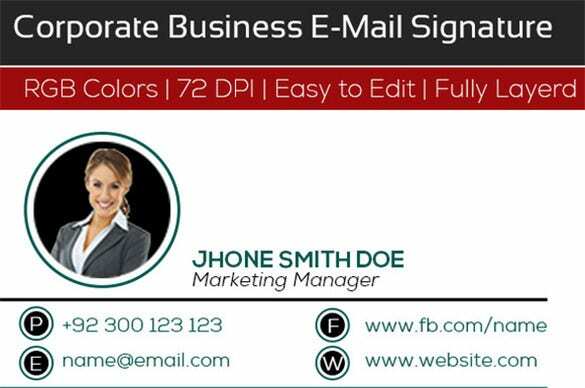 This is a clean and simple corporate business e-signature template which you can include at the end of your official emails, and add immense value to your office communications with colleagues and clients. 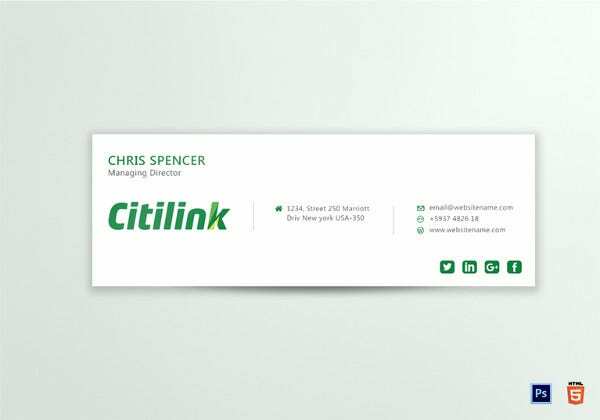 The signature is extremely elegant and professional in its design and appearance. 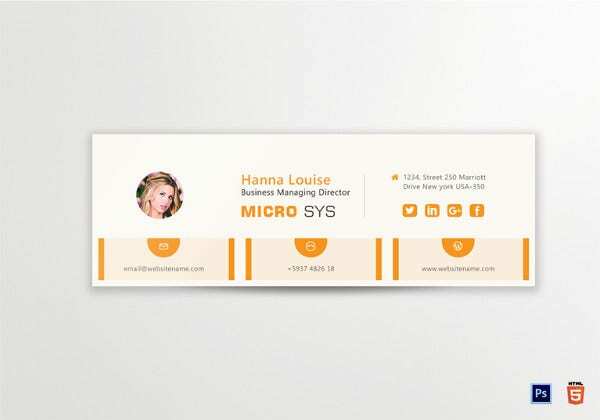 The template is fully editable and uses RGB colors and 72 DPI. 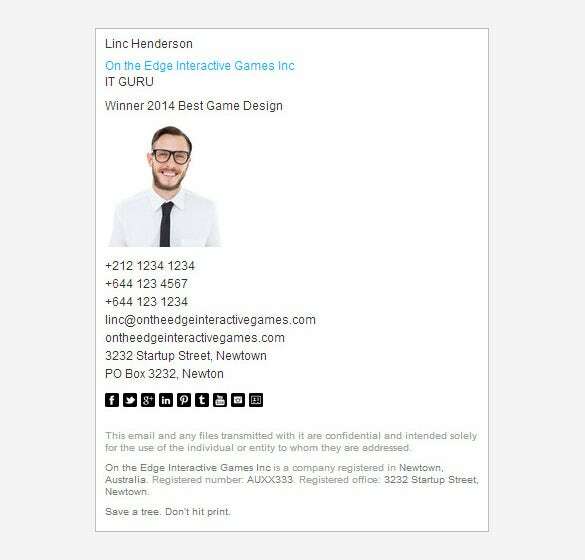 Add a personal touch to your work e-mails with this corporate email signature template. 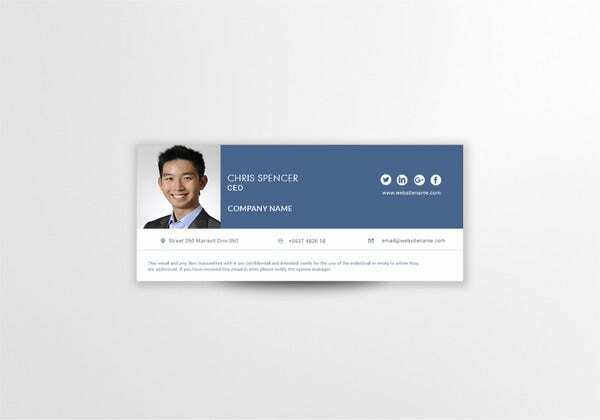 This professional template allows you to create customized signatures that contain your professional information. 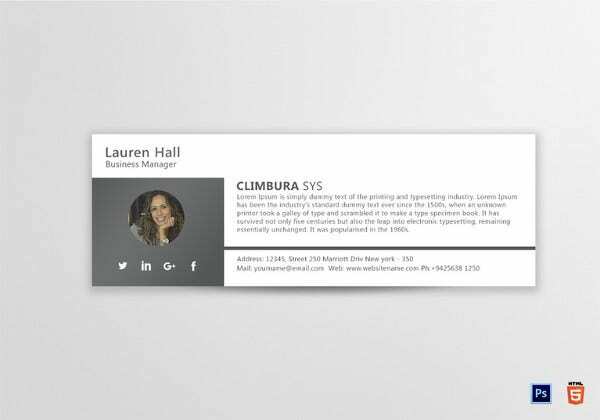 Use this minimalist professional email signature template that presents your personal style in a clean and uncluttered email signature, making sure that you viewers aren’t distracted by the unnecessary colors or designs. 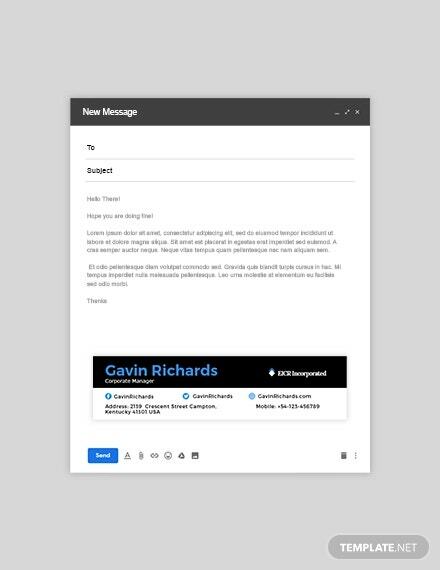 Use this simple yet effective corporate email signature template that displays all your professional information in a clear and concise format. 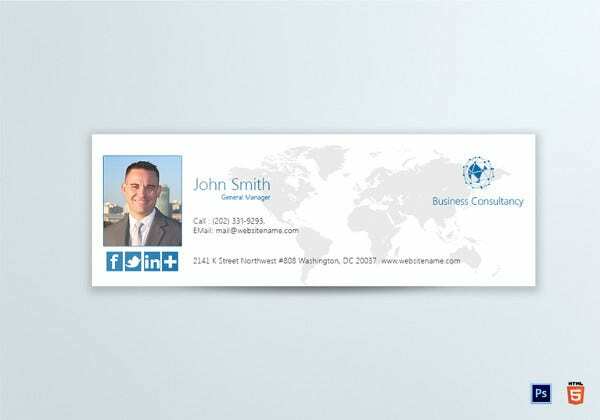 This neat template has the added advantage of allowing you to add your picture in your signature. 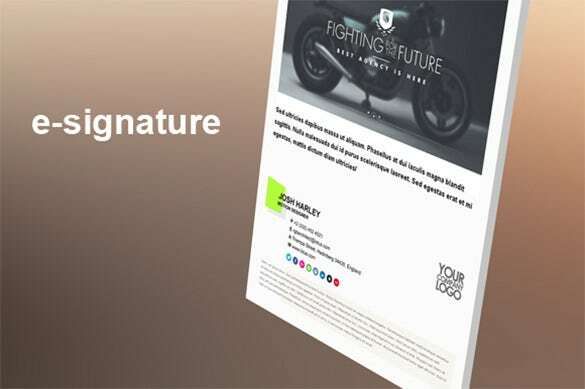 Download and use this premium corporate e-signature template that comes in a 3 dimensional format and allows you to add customized high-definition images, patterns and borders. 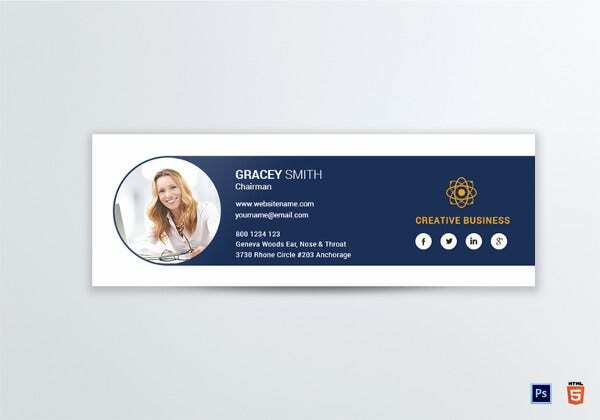 You also have a placeholder for a company logo. 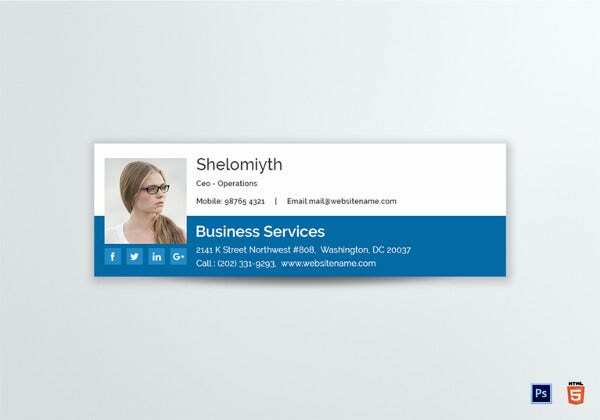 These templates are designed to be lucid, crisp and give the receiver of your email all the relevant contact information etc. in an effective manner. 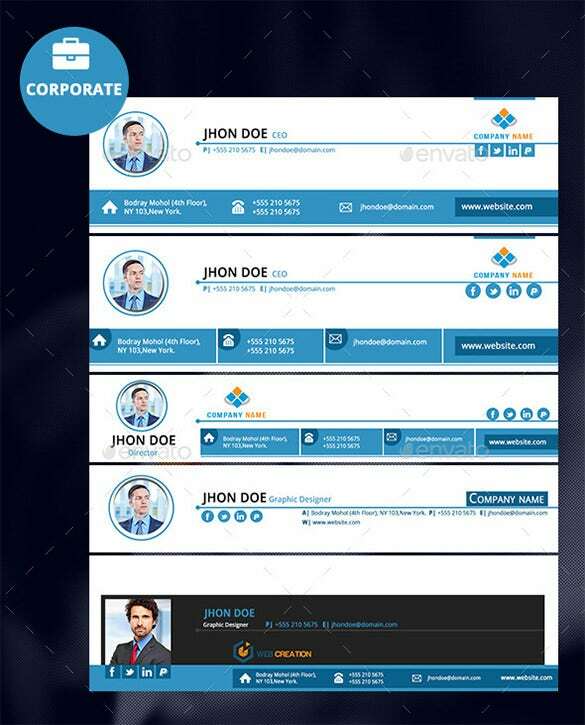 These templates are versatile and functional over multiple browsers and are compatible with most electronic devices of this day.